Syrian toddler Alan Kurdi's lifeless body lying in the surf on a Turkish resort. 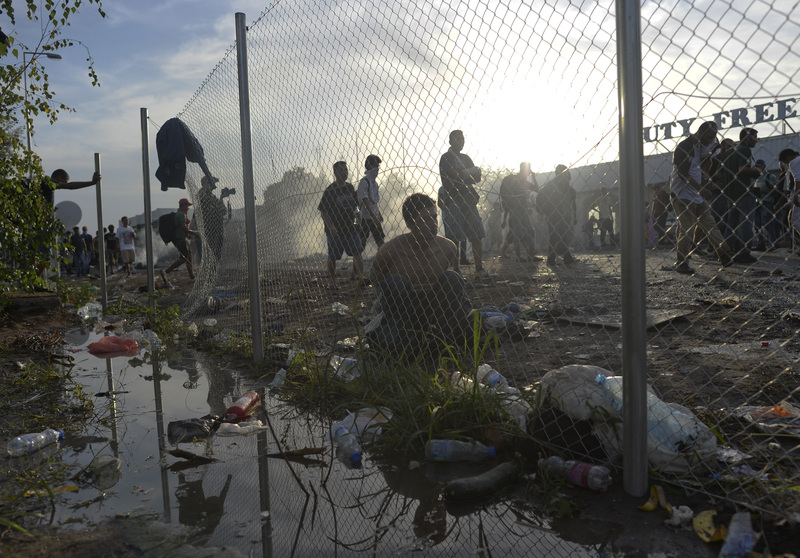 Desperate families slipping under barbed-wire fences and being teargassed as they try to enter Hungary from Serbia. Popular Greek tourist destinations Kos and Lesvos inundated with tents, volunteers, and long lines of refugees who have crossed the Mediterranean on unsafe dinghies. Haunting images and heartbreaking stories like these flooded social media and mainstream media in 2015. More than 1 million refugees crossed the Mediterranean into Europe in 2015, four times more than the year before, according to the United Nations. About half came from Syria, where civil war has raged since 2011. A total of 3,771 died or went missing during the dangerous journey. A total of 361,709 individuals arrived by sea in 2016. About a quarter of them came from Syria, one-fifth from Afghanistan and Iraq, and many others from several African countries like Eritrea and Nigeria. Although people continued to flee to Europe from violence, repression and catastrophe in their homelands, coverage of refugees in 2016 didn't the fever pitch of media attention reached in the latter half of 2015. Once on European shores, asylum seekers have been greeted with a mixture of love and hate. Anti-immigration politics in Europe have gained momentum in recent years, and in the wake of attacks in Paris and Brussels far-right parties have pushed the idea that the stream of refugees put Europe in danger — even though most of those assailants were European citizens. European leaders have struggled to address the refugee crisis. Many first arrive in Greece, a country already under strain from its wounded economy. Camps in Greece are crowded and often short of supplies; many refugees have left, travelling through the Balkans on their way to “friendlier” countries such as Germany. A plan to resettle refugees throughout the European Union in order to more fairly share responsibility has met resistance from several Eastern European countries. In March 2016, European Union authorities struck a much-criticized deal with Turkey in which Europe will return all asylum seekers except Syrians to Turkey, and will take in one Syrian refugee in exchange. Turkey, which borders Syria, houses 2.7 million Syrian refugees, according to the UN. There is an anti-democratic, and why not say it, a fascist stink, in many of the things being said and done, in the justifications for expelling refugees as if they were the ones violating the law when we ourselves are violating the law by refusing refuge to those fleeing war. Amid the high-level political bickering, ordinary citizens and local communities throughout Europe have organized welcome efforts for refugees and offered up their homes to them. 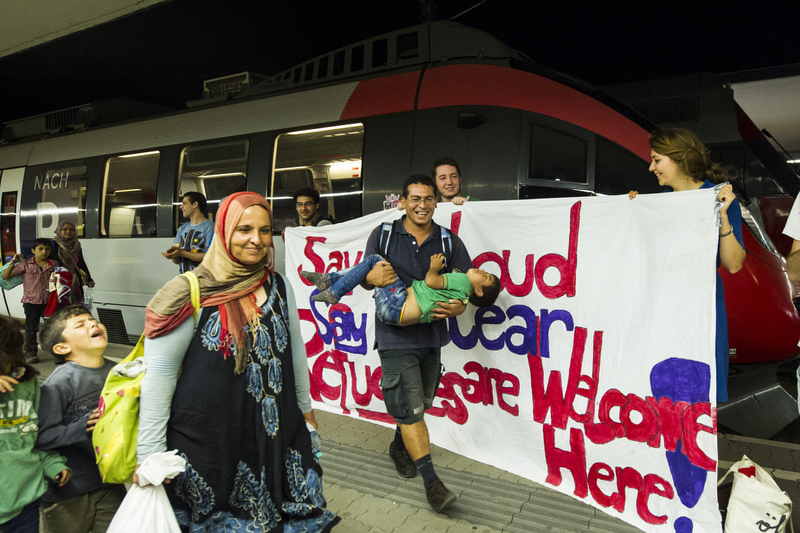 Refugees on their way from Hungary to Germany were met with applause and an outpouring of water, food and sanitary products in Vienna in September 2015. It might not be much, but we want our kids to see it and grow their understanding that helping others goes beyond a simple solidarity post on social media. It's not charity, it's solidarity from everybody to anybody…It's also love from human beings to human beings regardless of skin color, ethnicity or religion. And activists in Athens occupied a vacant hotel to offer a few refugees shelter. In France, a man from northeast England prepared hot meals for refugees out of an old converted bus. And several startups and NGOs in Europe made sure refugees, who rely heavily on the Internet to communicate with friends and loved ones as well as to apply for asylum, have access to WiFi. Sometimes, all it takes is a smile to make a difference. After many recent reports of police brutality and unfair treatment of refugees in some European countries, a photo of a Serbian police officer smiling and holding a Syrian toddler went viral. Social media users praised the officer's compassion. In an episode of Global Voices’ Hangout series GV Face filmed in September 2015, four of our contributors discussed volunteer efforts underway in Greece, Hungary and Germany to help refugees. They also offered their recommendations for anyone looking to donate or get involved. 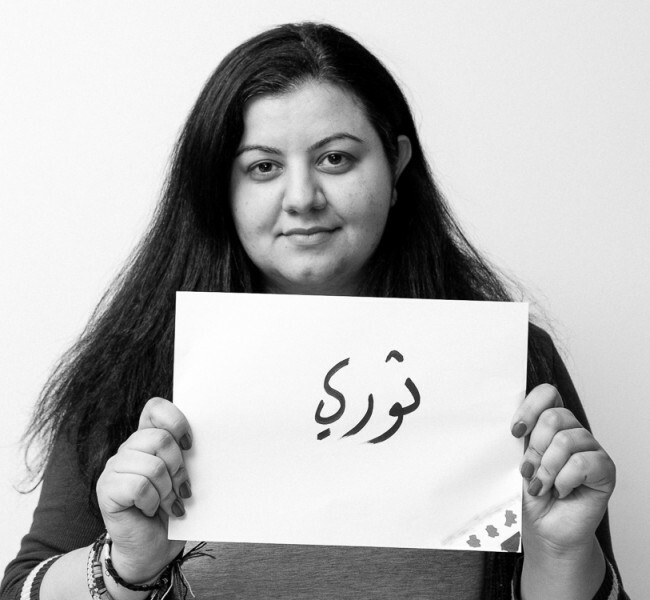 Missing from many of the mainstream media discussions about the crisis are the voices of the refugees themselves. About half of all arrivals to Europe in 2015 and more than a third in 2016 came from Syria, where Bashar al-Assad's regime has ruthlessly targeted civilians with chemical weapons and deadly barrel bombs. ISIS and other militant groups have also made gains on Syrian territory, killing and torturing civilians mercilessly. By some estimates, 470,000 people have been killed since civil war began in 2011. About a fifth of Syria's population — 4.8 million — have fled the country. Another 6.5 million are internally displaced within Syria. Most Syrian refugees are in crowded camps in neighboring Turkey, Lebanon and Jordan. Some instead make the dangerous journey to Europe with the hope of starting afresh with their families. It isn't an easy decision, but the utter destruction of their homeland and the poor conditions in the camps leaves many Syrians with little choice. Marcell Shehwaro: “Revolt”. Taken during Arab Bloggers Meeting in Jordan by Amer Sweidan. Photo used with permission. People from Afghanistan and Iraq, two countries plagued by insecurity in the wake of recent wars, make up a significant portion of the refugees reaching Europe too. In the last five years, the number of people forced to flee their homes has increased more than 50 percent, with 65.3 million refugees, internally displaced people and asylum seekers worldwide by the end of 2015, according to the United Nations. In 2015, more than 12.4 million people became forcibly displaced because of war, violence and persecution. That's 24 people newly displaced every minute. While refugees in Europe and the humanitarian crisis in Syria have captured much of the world's attention, other conflicts are driving people to leave in search of safety elsewhere. The United Nations says thousands upon thousands of people fled Burundi, South Sudan, Ukraine, Central African Republic, Eritrea, Somalia and Sudan in 2015. Some even worked with the United States forces as translators, but have been abandoned in their hour of need by American authorities. With suffering widespread and asylum not guaranteed, a few refugees are turning back from Turkey and Europe and returning home, despite the danger. Thousands of refugees have drowned in the attempt to cross into Europe by sea. In September 2015, a 3-year-old Syrian toddler named Alan Kurdi was added to the long list of lives lost, alongside his mother and 5-year-old brother. A photo of his body washed up on a beach at a Turkish resort forced the world to confront the tragedies happening again and again on the Mediterranean. The refugee crisis in Europe has many asking how they can direct their funds and attention to Syrian and other refugees. Jillian C. York‘s excellent guide to helping refugees, How You Can Help Syrian (and Other) Refugees, is a good place to start.